As an adult, the days of finding Easter appealing because it's an excuse to run around in search of candies are long gone. But before you get nostalgic about childhood egg hunts, consider this: how much exercise do you really want to do on a Sunday? Exactly. Instead, do what brings joy to adulthood -- feasting, cocktails included -- and whip up a brunch for every grown up in your inner circle. 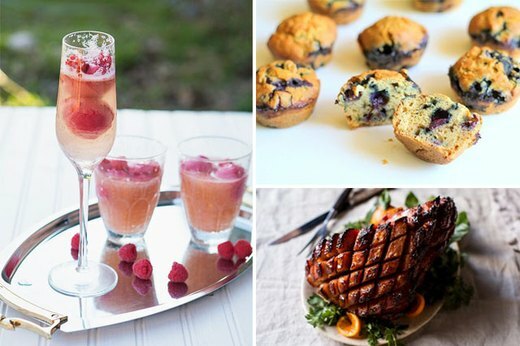 No relative will miss the backyard free-for-all when recipes like these are easily up for grabs. Everyone has that one aunt who keeps the clan together -- and who can project her voice in front of a crowded room. 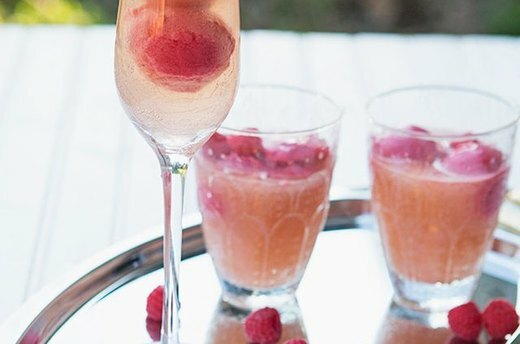 Ask if she can welcome everyone to the party, and pass these raspberry sorbetto mimosas around. She'll keep the toast short and sweet, because in this case, patience is not a virtue. That early twenty-something relative who's convinced that her social calendar is way cooler than some lame family gathering will reconsider once you mention this recipe. 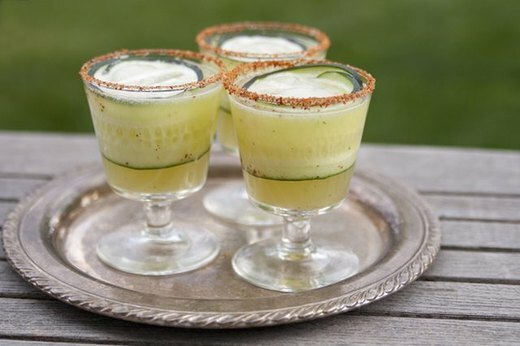 Line the rim of a cucumber-mint grapefruit margarita with chile-lime powder, and serve her with confidence. She won't be thinking about so-and-so's other party after one sip. 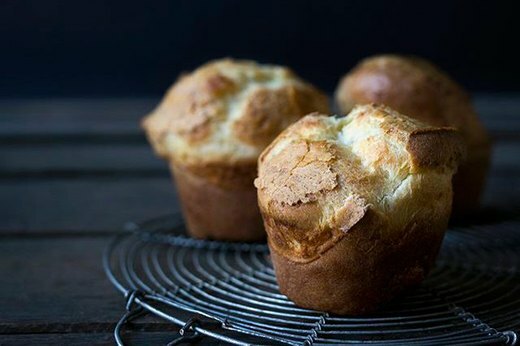 Even though toddlers won't be in your main demographic during this meal, they will be as satisfied as their parents with these flaky popovers. Not only are these pastries delicious, they're also easy for little ones to hold themselves. And when toddlers are happy, every adult guest is happy. A grammie who thinks that the virtue of hard work has been lost to instant gratification can appreciate the art of homemade croissants. Mix together your own dough, spread on some butter and roll the parcels together by hand. It may not be the same as walking to school uphill and in a foot of snow, but it should still be pretty impressive. Every family has that one "aunt" or "uncle" who has earned that familial title simply by sticking around a while. 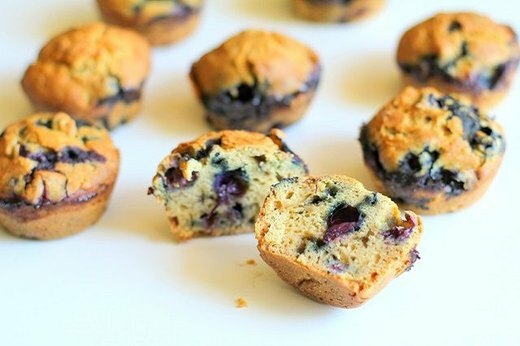 And just like you appreciate his or her RSVPs through the years, it also goes without saying that a family brunch wouldn't be complete without blueberry muffins. Warm, inviting and always welcome, this recipe has the same attributes as that unofficial member of the tribe. She played varsity in high school, got a sports scholarship in college and now that cousin who always wore workout gear does more physical activity before 7 a.m. every day than you do once a month. 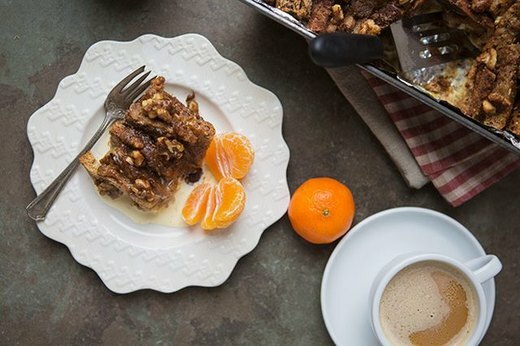 Make sure she gets a second wind before brunch by pairing this crumbly coffee cake recipe with a big pot of coffee. "BRB" was a big deal to that one aunt who learned how to text a couple of years ago, and now that she's discovered emojis and social media -- watch out. 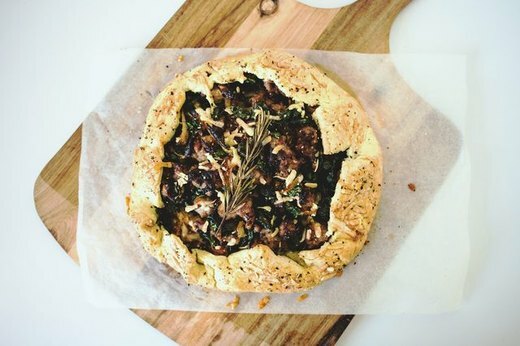 She will post a photo of this kale and sausage galette with a bunch of heart-eye smiley faces because that's how on trend she's become. Predictability can be comforting, and nothing can be more foreseeable than what your brother will reach for on the buffet line. If he's all about thick slices of meat and heaping portions of starchy sides, fill his plate with this recipe for ham glazed with brown sugar. He'll get what he (always) wants, and you'll have a striking centerpiece. The eldest child in the family has been taking the lead -- from organizing games, to starting inside jokes, to sitting at the adult table first -- for as long as he can remember. 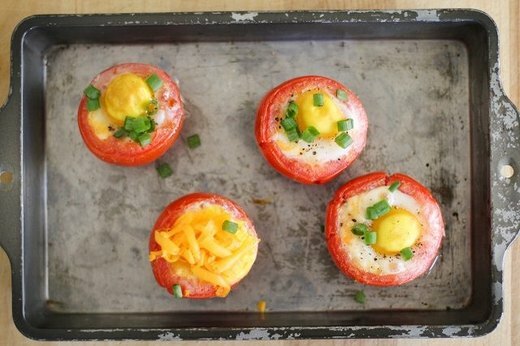 Give him "sous chef" responsibilities with this recipe for baked eggs inside tomatoes, and he won't let you down. You can prepare the majority of this cinnamon roll French toast recipe on Saturday night, but include your more reserved cousin in the final, maple-topped reveal. She'll appreciate a brief turn in the family spotlight as the commanding scent permeates the house. 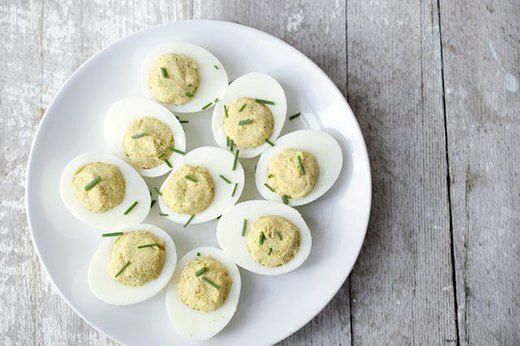 Some things never change, like your grandpa's slacks and buttoned shirts, and the same comfort can be sought in the addition of deviled eggs. The familiar sight of halved eggs and sunny yolks are like Pa's everyday uniform, while the addition of curry powder and chives is a lot like his sense of humor: a colorful detail that packs a slight punch. While it's great that your sister is ready to introduce her significant other to your family, she didn't exactly tell you that a plus one needed to be squeezed in. Don't panic. 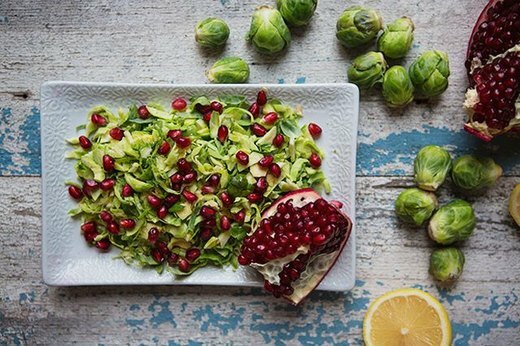 This recipe for Brussels sprouts and pomegranate, in a lemon dressing, is akin to the newbie: a breath of fresh air that no one saw coming. Make this ahead of time so that you can spend your free moments grilling her sweetheart for answers. You have a soft spot for that one cousin who was always trying to figure out ways to get cash as a kid. Whether it was betting your dad in poker, counting dollars from Grandma's greeting cards or selling lemonade from a sidewalk stand, that cousin taught you how to stretch your piggy bank's loot much further than you ever thought possible. 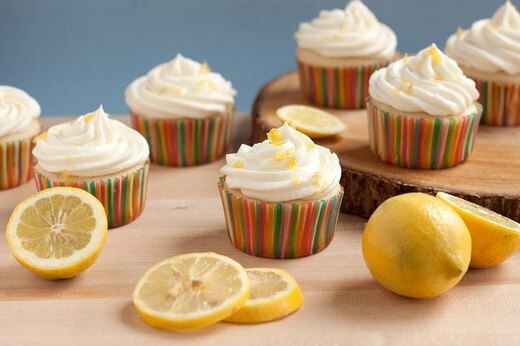 Bake lemonade cupcakes in his honor, and ask how his latest venture is going. 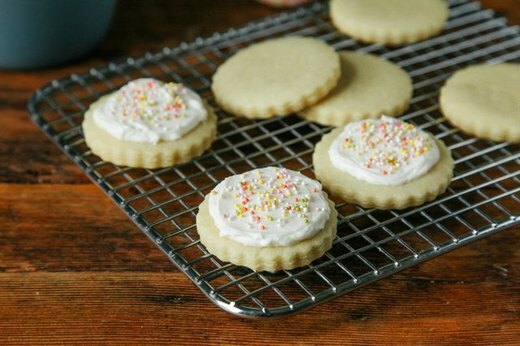 The kids who do have an Easter egg hunt to look forward to will be getting antsy toward the end of the brunch, but these sugar cookies should keep them in their seats while their parents finish their plates. Smile slyly at your cousin when he leans down to say, "You can have one cookie if you finish your Brussels sprouts." Little do the kids know, these cookies are vegan. The uncle who is known for regaling the family with hilarious encounters and wacky what-ifs probably spent the majority of the brunch speaking rather than eating. 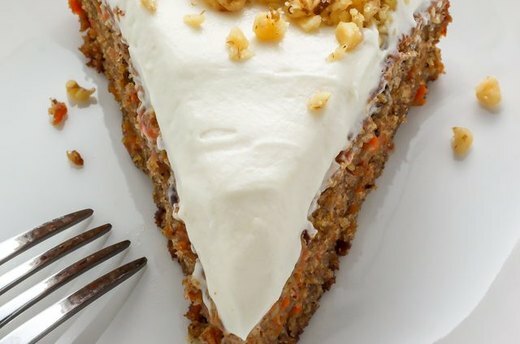 Reward his knack for providing entertainment by cutting him the first slice of carrot cake. He won't find the homemade batter and frosting the least bit funny.